Would you like more smiles and cooperation from your children? The Mullen family, made up of Andrew, Leah, Jodi Ann, and Michael, has created a brand new workbook that focuses on activities children and parents can do together! Please note that clicking on the links for this book will take you away from this page and bring you to an online shopping site. Jodi Ann Mullen, PhDThis thoughtful and skillfully written book, a collaboration between three eminent scholars and practicing counselors, offers you a unique and novel way of looking at, understanding, and treating children with problematic behaviors. This comprehensive resource provides developmentally appropriate interventions for counseling children and adolescents who have experienced a wide range of grief and loss, including secondary and intangible losses such as moving or divorce. An essential resource for counselors, social workers, and psychologists in schools and other settings. This DVD includes 10 specialized techniques and activities that can be used when working with children who have experienced loss of any kind. Often times, children do not have the means to verbalize what they are feeling when they lose someone or something that is important to them. Using these interventions, the counselor can address some of those feelings and allow the child to physically express themselves in a safe environment and in a safe manner. This 2-disc DVD set is a recording of an interactive webinar. It features the full powerpoint and handout slides as they were presented during the webinar. Also, the DVD will give an overview of the culture of Autism Spectrum Disorders and various theoretical approaches to play therapy, emphasizing Child-Centered Play Therapy. This DVD will help counselors: 1) demonstrate an understanding of Autism Spectrum Disorders and the use of play therapy; 2) understand how sensory issues may create challenges in the therapeutic playroom; 3) employ play therapy skills for counseling children in the autism spectrum. Participants ask questions and share their own stories to give the DVD an interactive feel, much like the experience of actually attending a seminar. In this Webinar, Dr. Jodi Ann Mullen PhD, LMHC, NCC, RPT-S discusses the ethics of Play Therapy, both Child-Centered and other approaches. Ethics are the guidelines and standards that ensure that a therapist is practicing and using their skills in an appropriate and responsible manner that allows for client healing and acceptance. In regards to Play Therapy, there are many ethical issues that must be considered by a play therapist as they work with their client, the client’s guardians, and other professionals involved in the client’s life. Some of these considerations deal with consultation, the client’s right to privacy and confidentiality, the use of techniques and skills in specific situations, and the image of the profession as both a mental health worker and a play therapist. Dr. Mullen goes into great depth as she explains the complex world of ethics and how it overlaps into the profession of a play therapist. The DVD includes video powerpoint, as well as an interactive feel with questions and responses given by the participants of the original Webinar. 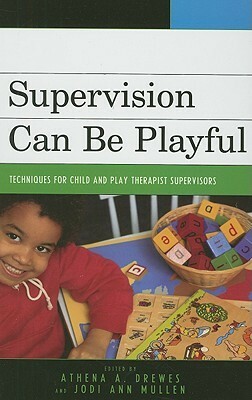 A must for any aspiring or current play therapist, regardless of style and approach! In this seminar, Dr. Jodi Weinstein Mullen PhD, LMHC, NCC, RPT-S and June Rickli MS, LMHC, CCPT-S, RPT discuss the importance of consultation as a play therapist. They offer great insight into the use of consultation to improve the healing process with a child in play therapy, acknowledging that the work parents and other professionals do is as important as the work the child does, as well as the play therapist. Play therapy is not widely known or understood and it is part of the play therapist’s job to explain the work of play therapy, and also, offer a professional image of the practice. Working together creates a web of support for the child, and including others in the process allows all to share a larger picture of the child’s life and experience. This DVD has an interactive feel as seminar participants offer stories and their own insight into this complex and very important part of play therapy. This DVD offers many strategies and techniques that can help you expand and improve your work with parents/guardians and other professionals!